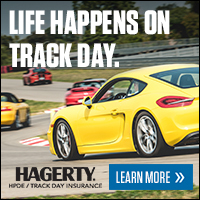 Performance Driving Experience, also known as "track days" are a non-competitive opportunity to bring your street driven car to a race track and exercise or learn high performance driving skill. The speeds are high and so is the excitement! PDX provides three 20 minute sessions for drivers who simply want to improve their skills and enjoy driving their car with no speed limits. True to the “run what ya brung” adage, all it takes to be a part is your street car, a valid license and a helmet. Instructors will be available for novice drivers or experienced drivers looking to improve. Curious? Car not ready to take to the track? Just want to check it out? Or do you just like hanging out at the track around great people and fast cars? We're always in need of extra help! Register as a volunteer and come check out what SCCA and Iowa Speedway are all about. You'll be in the thick of the action directing cars onto the course, monitoring state of the art timing systems, or in a flagging station all while in radio contact with Race Control. Lunch will be provided for all volunteers! Party @ the Track! Friday Night for All Drivers and Volunteers!